Giambattista Piazzetta trained with the tenebrist painter Antonio Molinari (1655–1704), then continued his studies in Bologna in 1705 with Giuseppe Maria Crespi (1665–1747). Both artists left their mark on Piazzetta’s early work, Molinari with regard to the volumetric style of his figures and his ability to depict shadows and Crespi in his distinctive manner of creating chiaroscuro. The present canvas is considered to be an early work by the artist and a good example of his style in the second decade of the century. This episode from the life of Abraham is taken from Genesis and is possibly one of the stories on the life of the patriarch most frequently depicted in art. Piazzetta chose the most dramatic and tense moment in the narrative when Abraham, on the point of cutting his son’s throat, hears the voice of God’s angel in the sky telling him not to sacrifice his son. Raising his eyes, Abraham sees a ram that he is to offer in place of Isaac. Piazzetta locates Abraham on the left, holding the knife and looking at the angel who occupies the upper right part of the canvas. 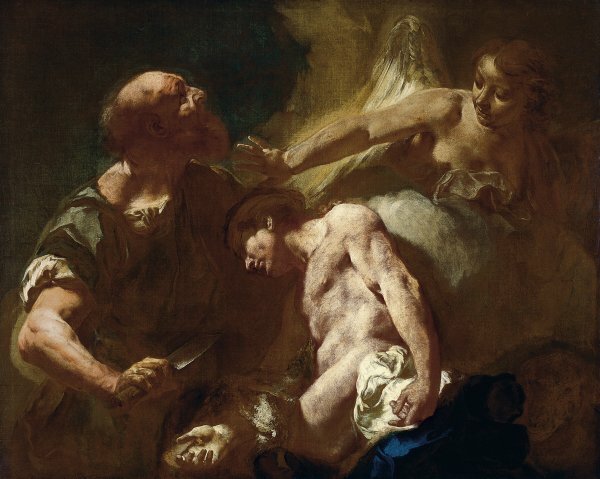 Isaac, who has fainted and leans his head on his father’s left arm, is powerfully lit by a strong beam of light, while the ram remains in the shadow, sketchily defined in the lower right corner. The canvas is painted using a limited range of tones with an emphasis on reddish brown and ochre shades. Piazzetta introduces a single touch of strong blue that breaks the general tonality in one of the pieces of cloth near Isaac’s left hand. In addition, he uses effects of chiaroscuro that emphasise the construction of the volumes as well as the critical moment in the story. The present canvas was on the art market in 1921, after which it was in the Fenwick-Owen collection in London, the Koester collection in New York and with the dealers Silvano Lodi in Geneva and Eugene Thaw in New York. 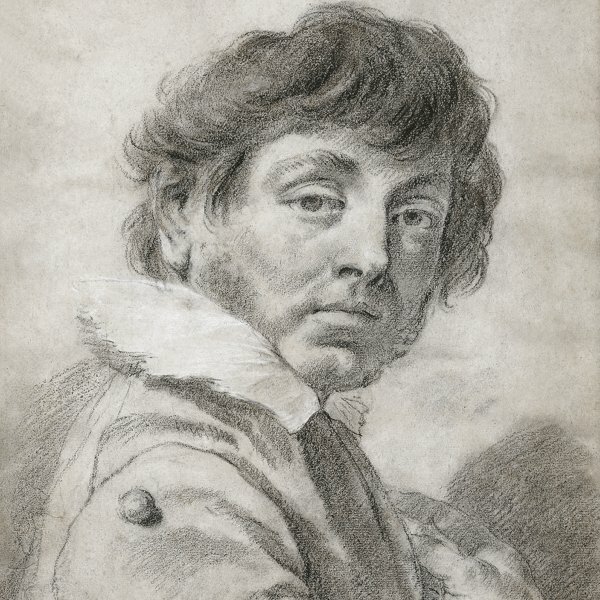 It was acquired by Baron Hans Heinrich Thyssen-Bornemisza in 1980 for the Villa Favorita, which at that date housed two other works by Piazzetta now in the Museum: Portrait of Giulia Lama and the Self-portrait drawing. The Dresden Gemäldegalerie has a replica of this composition in which the artist used a vertical format. Among other differences, the angel in that version holds back Abraham with its hand. A canvas attributed to Francesco Capella (1711–1784), which is a literal copy of the present painting and was on the Italian art market in 1975, formed a pair with another religious composition depicting Hagar and Ishmael comforted by an Angel. 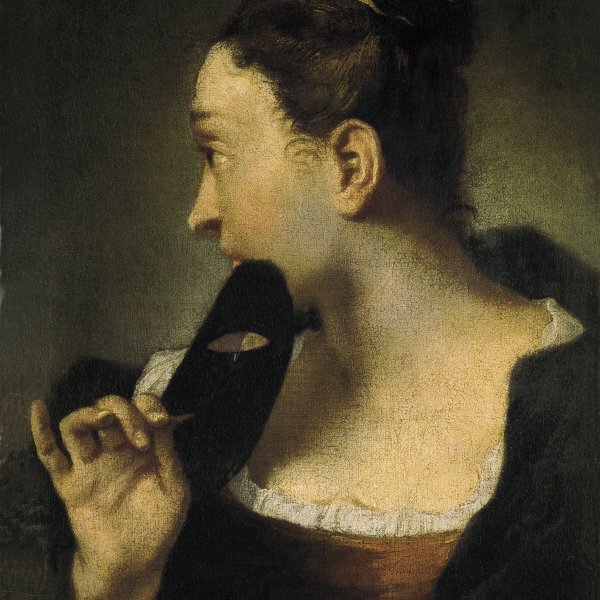 This fact led Roberto Contini to suggest that the present painting may have formed a pair with another by Piazzetta, now lost, also representing that subject.